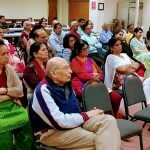 Categories: Bhagavatam Lectures, Krishna, Srimad Bhagavatam. 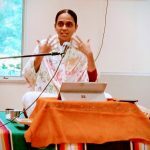 Sri Poornimaji and G.O.D. 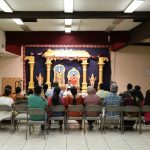 USA were invited for the first time to Cleveland, and by the divine grace of Sri Swamiji, the short 2 day (Sep 9-10th) series was a grand success. 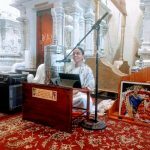 Sri Poornima ji spoke brilliantly on the basics of Bhagavata Dharma on Day 1, and delved into the first 3 slokas of Srimad Bhagavatam on Day 2 – summarizing the essence of all scriptures as gratitude to Lord Sri Hari, and the easiest way to show that is by chanting the Mahamantra. 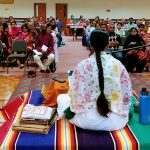 The crowd of 75-100 new people were awed by Sri Poornimaji’s breadth of knowledge and have invited her to do a Saptaham in January 2018. 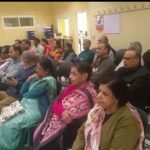 Sri Sridharan Ji and Smt. 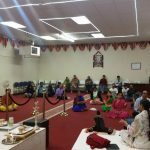 Bhuvana Sridharan Ji hosted the event and worked tirelessly for the success of the ground-breaking satsang in Cleveland, Ohio.